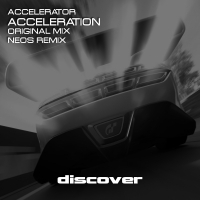 Ciro Visone returns to Discover under his Accelerator guise with the suitably titled tune - Acceleration. As the name suggests this is a fast paced big room trancer with strong melodic content throughout. Produced to perfection the melodies build throughout in gorgeous style. Neos is on remix duty giving it a strong Psy Tech twist which moves through the gears in style.